HLARC - Highland Lakes (Tx.) 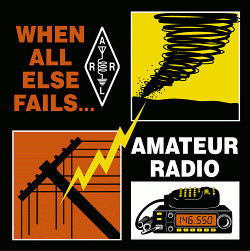 Amateur Radio Club Inc.
HIGHLAND LAKES AMATEUR RADIO CLUB INC.
HLARC Mission: To promote the educational, scientific and fraternal aspects of amateur radio and to serve the public interest. Join us for breakfast Mondays at the Mama's Home Cooking on HWY 29 in Burnet at 7:30 AM. Want to become a Ham? Want to Upgrade? Every month we will have either a training session, formal presentation or a Pot Luck meal as a part of the meeting. With each pot luck, members will get a chance to bring items of interest for show and tell. Please take a few minutes to explain your new find, old treasure, idea or gismo after we eat. New ham training/licensing class is underway, watch for updates here and on the weekly nets. The officers also plan specific follow-up events for new hams to fully integrate and support them with their new license. Michael Robinson, KC0TA is our lead VEC. As discussed on recent weekly nets, both scheduling of ham slams and public testing sessions are a part of it. Michael is our training officer and will present segments from time to time on the nets. Any member can deliver these quick training segments so be writing up a 1-3 minute segment to deliver during the net. He will also do so in rotation with other presenters. What's happening in Ham Radio ????? “SwapNet” held every Sunday at 9PM on the 146.940 repeater in Austin, TX- an AARC/ARO tradition since 1974! Reminder: Regular scheduled meetings are the last Friday (not the 4th Friday) and start at 6:30 pm. ARES meetings occur only when called by the EC, and are held before the club meeting. On the LAST month of every quarter, a pot luck covered dish dinner occurs at 6 PM before the club monthly meeting. Amateur Radio or find how to get your questions answered. Mama's Home Cooking has moved to the old Spokes restaurant site in Burnet. APRS Link to Local APRS and Embedded Page What is APRS? The Highland Lakes Amateur Radio Club Inc.
NEW Southgate ARC Great Site for current happenings!